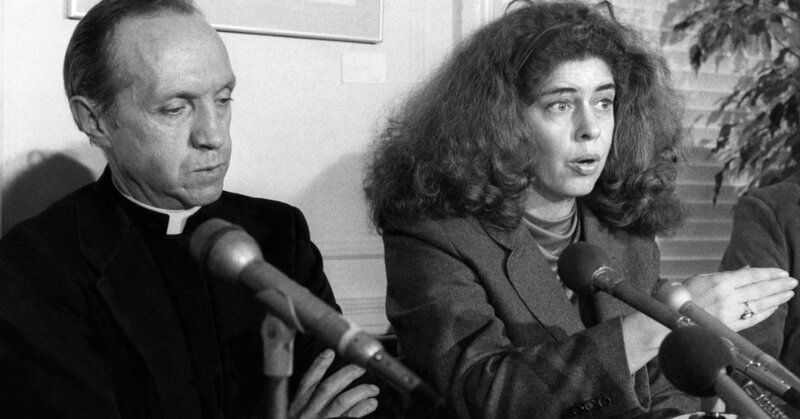 Kitty Tucker, a public interest lawyer and antinuclear activist who helped raise national awareness of the case of Karen Silkwood, the nuclear power whistle-blower, died on March 30 in Silver Spring, Md. She was 75. Her husband, Robert Alvarez, said the cause was complications of a urinary tract infection. Ms. Tucker was a first-year law student in 1974 when she read that Ms. Silkwood, a technician at a Kerr-McGee plutonium plant in Oklahoma and a union activist, had died in a mysterious car crash on her way to meet with a reporter for The New York Times. Ms. Silkwood had radioactive plutonium in her lungs; Kerr-McGee said she had deliberately contaminated herself to make the company look bad. Ms. Silkwood had intended to show the reporter, David Burnham, evidence that the plant had numerous safety violations and was endangering the lives of its employees, though no such evidence was found in her car. Union investigators said that the car might have been forced off the road, but that was never proved. The plant closed the year after Ms. Silkwood’s death, which became a rallying cry for antinuclear activists and helped sow doubts about the nuclear energy industry. In 1983, her story was made into a popular movie, “Silkwood,” starring Meryl Streep in the title role and Cher as a co-worker, directed by Mike Nichols and written by Nora Ephron and Alice Arlen. All were nominated for Academy Awards. Ms. Tucker, who viewed Ms. Silkwood as a feminist hero, was outraged by Kerr-McGee’s claim that she had poisoned herself. As an activist for the National Organization for Women, Ms. Tucker pushed for a legal case to be made against Kerr-McGee. She and Sara Nelson, a NOW official, started the group Supporters of Silkwood, based in Ms. Tucker’s home in Takoma Park, Md., from which they sent out newsletters to raise money and heighten national awareness of the case. Ms. Tucker also recruited a legal team to pursue the case. The team came to include Gerry Spence, then a relatively unknown trial lawyer, whose role would bring him to national prominence. In a major setback for the nuclear power industry, a federal jury in Oklahoma in 1979 found Kerr-McGee guilty of negligence and awarded the Silkwood estate $10.5 million. The decision was reversed by a federal appeals court; that decision was itself reversed by the United States Supreme Court. The parties ultimately settled, with Kerr-McGee paying the estate $1.38 million and Ms. Silkwood emerging as a martyr of the antinuclear movement. Kathleen Marie Payne, known as Kitty, was born on Feb. 28, 1944, in Carroll, Iowa, and grew up in Clear Lake, Wis. Her father, Veldon, was a high school business teacher; her mother, Florence Cecelia (Mahoney) Payne, was a part-time postmaster in Clear Lake. Kitty graduated from Clear Lake High School in 1962 and from the University of Wisconsin, Madison, in 1967 with a bachelor’s degree in sociology. She went on to the Antioch School of Law in Washington, which specialized in public advocacy and is now part of the University of the District of Columbia. She graduated in 1978. She married Charles Tucker in 1967; they divorced in 1970. She met Mr. Alvarez in 1972 in Eugene, Ore., where they helped start a free health clinic for poor people. They moved to Washington and married in 1974. In addition to her husband, with whom she lived in Takoma Park, she is survived by their two daughters, Amber Torgerson and Kerry Rochester; two grandchildren; two brothers, Stanley and Alan; and a sister, Sheila Toso. A son from her first marriage, Shawn Tucker, died in 1994, and her brother Kevin died in 2004. Ms. Tucker had a long career as a political activist. She was jailed in Alabama in 1965 for attempting to register African-American voters. Arriving in Washington during the Watergate scandal, she started a national campaign to impeach President Richard M. Nixon. Throughout her life, she coped with serious illnesses. She learned she had Hodgkin’s disease when she was 19 and was given only a few months to live, but she received treatment that extended her life for decades. She had two heart valves replaced as a result of rheumatic fever and later suffered from migraine headaches. To help deal with those headaches, she and her husband grew their own marijuana at home. But in what Mr. Alvarez said was a “fit of teenage pique,” their daughter Kerry reported them to the police in 1999, leading to their arrest. They pleaded guilty, were given a light sentence, and long ago reconciled with their daughter. The episode inspired Ms. Tucker to embark on another campaign, this one to lobby the state of Maryland to legalize marijuana for medicinal purposes. That bill was signed into law in 2013.